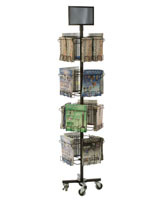 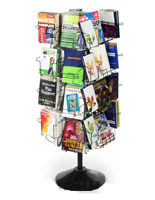 This mobile 6' convertible literature rack is made from black wire for style and durability. 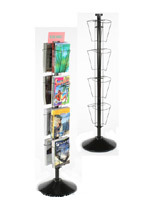 Each free-standing magazine holder features (4) rotating tiers with adjustable dispensers. 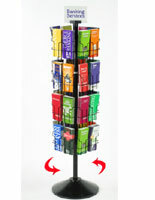 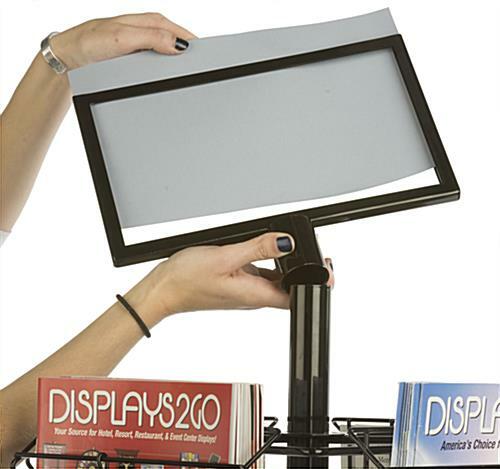 The wheeled 6' convertible literature rack can have up to (8) 8.5" x 11" catalog-sized or (16) 4" x 9" brochure displays. 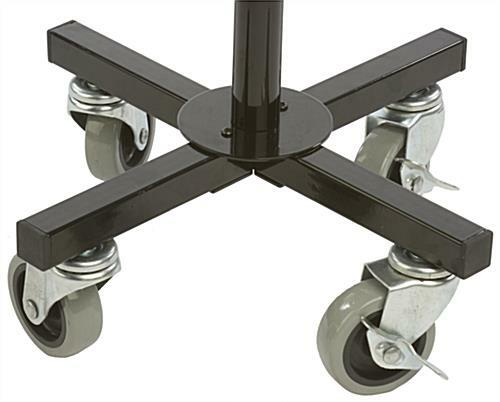 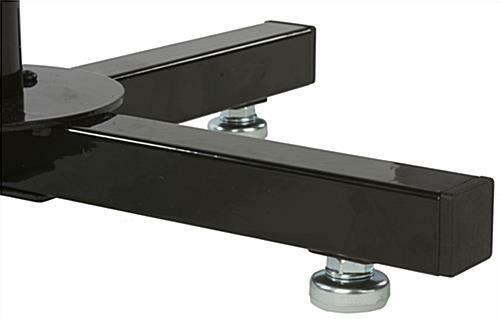 The sturdy black metal base comes with a removable header, 3" caster wheels (2 locking) and floor levelers for portable or fixed use. 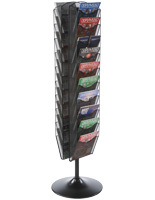 This tall convertible literature rack is perfect for use in high traffic retail areas because of its size and versatility. 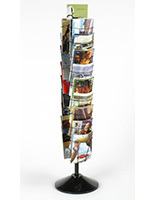 Each of the (4) individually rotating tiers can each be used as a magazine holder or brochure display by simply adjusting the pocket size. 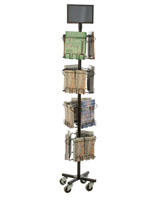 14.4" x 56.0" x 10.6"
10.3" x 9.0" x 1.6"
14.4" x 4.8" x 10.6"
11.0" x 7.0" x 1.5"